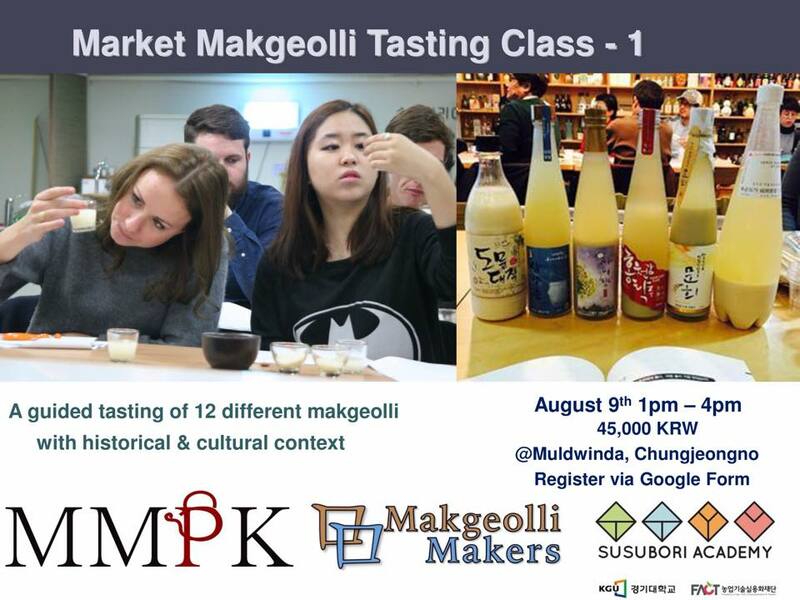 Home » Market Makgeolli Tasting Class 1 – Registration Open!! There’s so much more to makgeolli beyond the green bottle. There are many bars in and around Seoul that can offer a wide selection of makgeolli, the hard part is knowing what to order and the story behind the brew. As a part of Susubori Academy’s English Program, MMPK will be conducting a tasting class to experience all the wonders the market has to offer. 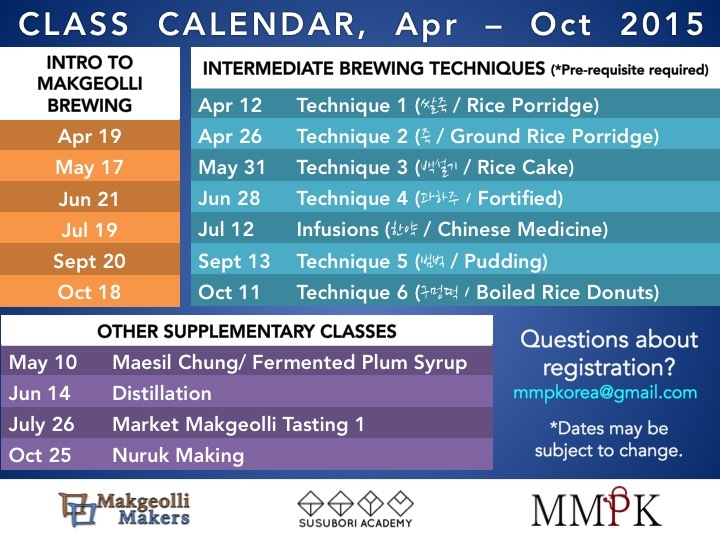 In this introductory makgeolli tasting class, you will have the opportunity to experience a guided tasting of 3 hand chosen flights of makgeolli (12 different brews) that are commonly found in Seoul bars. In addition to tasting and getting to know the profile of each brew’s palate, our experienced instructors will provide a historical and cultural context of the industry from past to present. By the end of the class, you will have a more in depth knowledge of the makgeolli industry, and be able to apply your new knowledge when choosing makgeolli from bars around the city.